The Lauf Grit SL fork, designed in conjunction with the Lauf True Grit gravel bike frameset, is simultaneously stiffer and lighter, and offers better performance to boot. Lauf Cycling is a company based on continual refinement. After they released their first product, the lauf Trail Racer fork, they continued to develop other forks, each model refining the formula for a lightweight suspension fork. 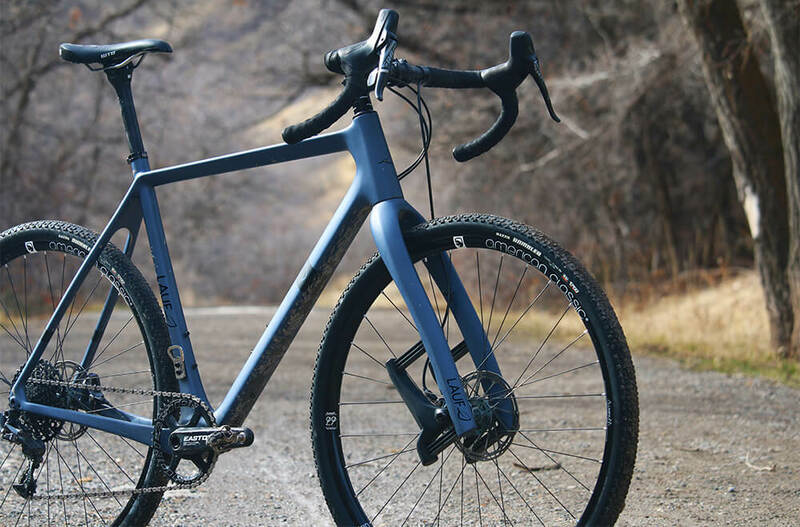 The Lauf Grit SL fork, designed in conjunction with the Lauf True Grit frameset, is a serious improvement over the standard Grit fork; it’s simultaneously stiffer and lighter, and offers better performance to boot. The Lauf Grit SL fork is based around the Lauf Spring System (LSS), tuned for 30mm of travel (after 6mm of sag from the rider). LSS is a series of twelve undamped composite leaf springs bonded between a carbon fiber fork and a 15mm thru-axle dropout they call the Springer. Each stack of leaf springs—called a Springstack—is bonded into the fork and Springer through an Integrated Spring Pocket. Compared to the standard Grit gravel fork, the Grit SL is modified to lower the peak stresses on the fork, while the 7mm shorter leaf springs have a lower risk of delamination under extreme use. As a result, the fork is has gained further lateral and fore/aft stiffness, while also losing around 50g (850g) compared to the standard Grit fork. Not to mention that the streamlined fork looks much more toned down than the standard Grit fork. Why buy a Lauf Grit SL fork? It works really well on smaller bumps and washboard, filtering out the vibration very noticeably compared with a rigid fork. There’s less vibration through the handlebar, thanks to the progressive suspension that firms up through the suspension travel. The fork is confidence inspiring over high-speeds; where a rigid fork leaves the front wheel feeling skittish, the front tire maintains much better contact with the road surface. Despite all of this, there’s also virtually no pedal bob, unlike a traditional suspension fork. There’s no brake dive, and climbing out of the saddle, it feels much more natural than the competition’s non-suspension alternatives. Most importantly, there are no moving parts and zero maintenance. The fork design has been rigorously tested by Lauf to provide years and years of trouble-free riding. 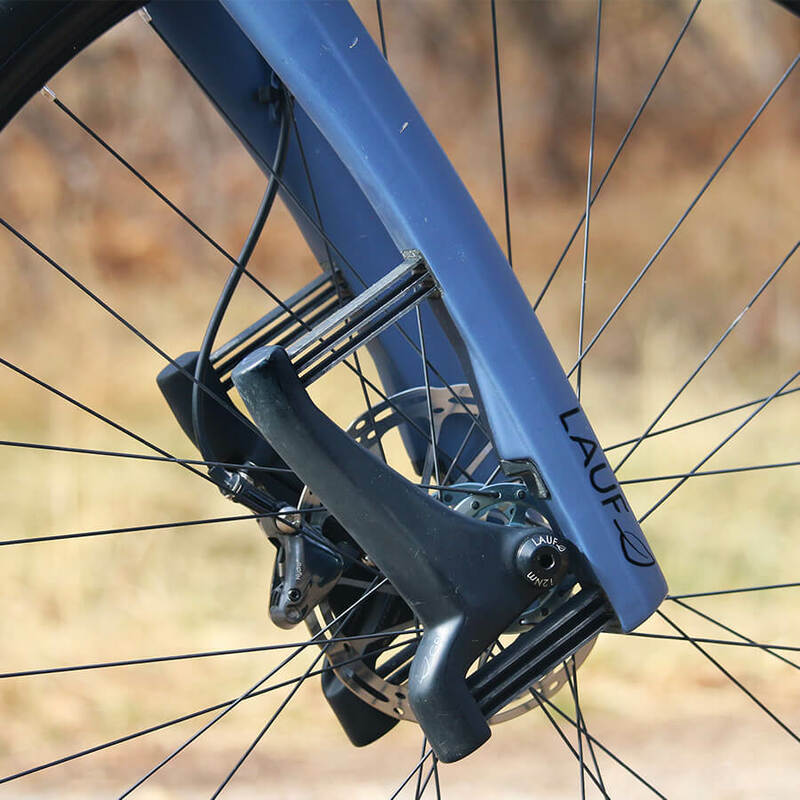 The Lauf Grit SL fork is an excellent addition to any gravel bike or cyclocross bike where additional control, grip, and comfort are necessary. This fork is largely plug-and-play, with minimal changes in geometry when swapped onto most gravel or cyclocross bikes. It requires a 160mm minimum brake rotor, works for tires up to 700 x 45c or 27.5 x 2.1″, and is available in 15mm x 100 and 12mm x 100mm thru axle options. 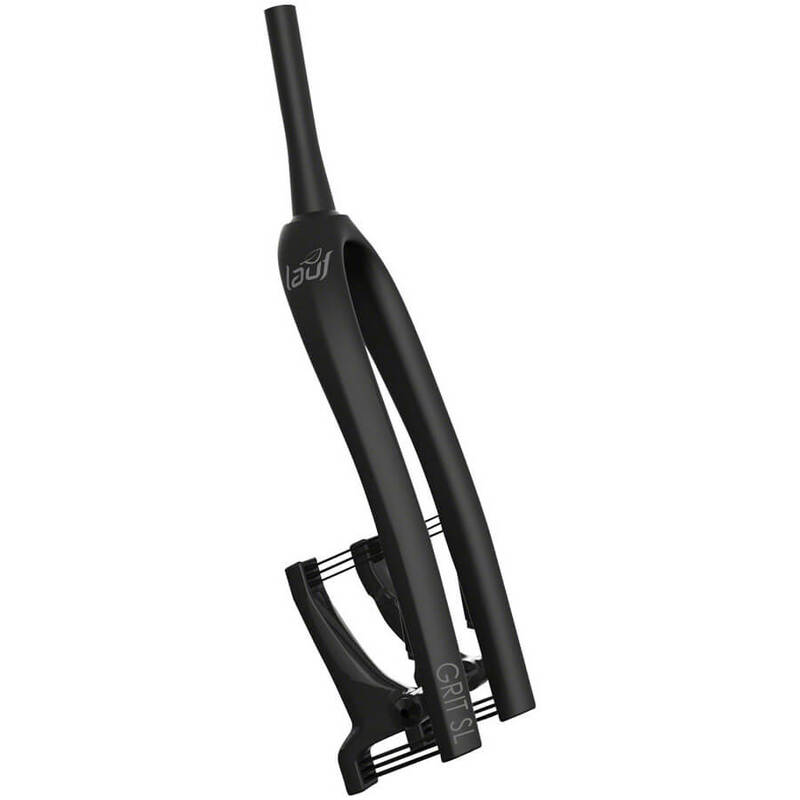 The Lauf Grit SL Fork is offered in the color Naked/Matte Black. Have any other questions about the Lauf Grit SL fork? Give us a call during shop hours, or contact us any time by email at info@contenderbicycles.com.